The daunting task of finding an internship often leaves students in a stand still between going the extra mile to find a paid internship, and settling on an unpaid one. While both internships provide you with hands on experience that looks great to employers- the difference between a paid an unpaid internship is significant. So which is better? The difference between earning no money, to a slight hunk of cash creates a huge divide between the talent and motivation level of students. Unpaid internships give students the experience they need to enter the real world, yet these seem to be the students who truly undervalue their worth. Those who work hard should deserve payment. The students that take unpaid internships do not produce the same level of work because they do not see a reward at the end of the tunnel. While according to the Brigham Young Business School, “ the real world experience that internships give students is undeniable.” However, don’t people earn money in the real world? How is requiring student to work like a regular employee and get paid nothing feasible? It’s unjust. Colleges have begun to provide students with 1 credit towards their internships in lieu of being paid. However, it seems that companies are monopolizing upon this 1 credit internship. Companies have begun to only offer 1 credit internships. Why not hire free labor, in return for offering the student a credit through their college? Companies need to reevaluate their internship programs. Students that go above and beyond at their internship are the students who usually spend the extra time to gain paid internships. Paid internship programs focus on giving students the hands-on experience they need to succeed in the real world, often times with a job offer at the end. 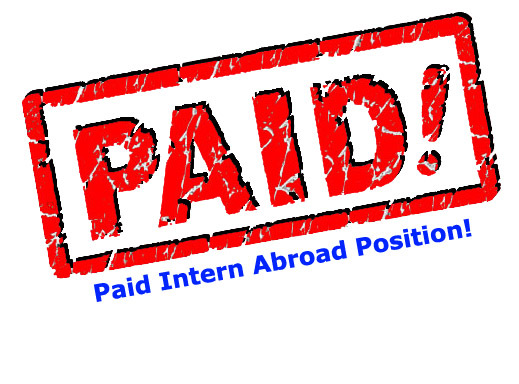 Although paid internships may come with money and more benefits, unpaid internships should never go overlooked. They not only give you something to put on a resume, they give you hands on experience you can apply to your career. Editor’s Note: Although this is one writer’s opinion, PRSA holds a similar stance on unpaid internships. PRSA believes it to be ethically wrong to employ anyone who adds real value to an agency or employer without compensating them for their work. You can read the rest of their stance in the Professional Standards Advisory PS-17. Julian: While I agree that most internships should be paid (and in many cases must be because of labor law), throwing unpaid internships — and students who accept them — under the bus isn’t fair. In 1994, as a COM junior, I competed for an unpaid internship at the former Boston Garden. That phenomenal experience not only propelled me into a paid internship with a prominent tech PR firm, but also paid dividends for the next two decades as I took on senior roles with some of the world’s best known brands. An internship is what you make of it. Look beyond the paycheck — the experience you’re gaining is far more valuable than cash in hand. Thank you for your comment. Yes, I fully agree that unpaid internships can come with great experience- I myself had one this past summer. The knowledge that I learned through the internship provided me with many tools that I have found incredibly helpful as I continue to further my BU career. However, this isn’t about the experience, it is about companies undervaluing the work produced by students. Often times students are assigned projects that paid employees work on- and required to produce work that requires much more time than is required of them. The work that is required of unpaid interns, does not logistically seem fair, as they often times have to work on projects that are haphazardly put upon them. It seems companies do not understand the amount of work interns are required to do. The issue is not with the experience gained through unpaid internships, it is the fact that companies are simply undermining the work of interns. This is a very interesting piece of information, that I think should be promoted more. Paid internships mean more than just money, they often times mean a better internship in general. Definitely not surprised by that statistic. Thanks for sharing! Just fyi: Class of 2011 graduates who took part in a paid internship were more likely to get a job offer, have a job in hand by the time they graduated, and receive a higher starting salary offer than their peers who undertook an unpaid internship or no internship at all, according to results of a 2011 Student Survey by the National Association of Colleges and Employers!